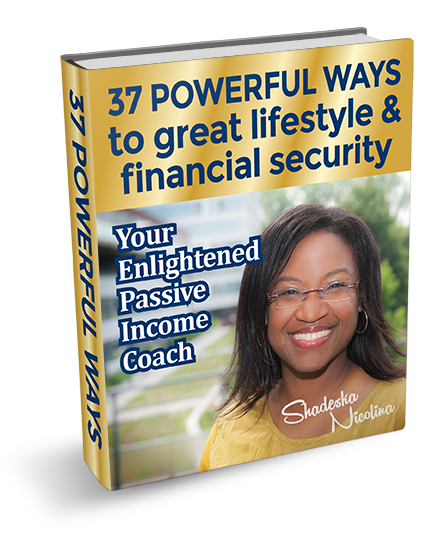 Home Your Passive Income Coach Articles Interviews Manage Money! Do you have more money coming in than money going out? Do you invest the excess amount in assets? Do you know how to reduce debt and increase your cashflow? Do you know what steps to take? Manage your money to be free! Get financially educated! What you learn, put in action! Learn, do what you learn. Learn more, do more! You can become a master at anything. It’s not complicated. Knowledge conquers fear. Knowledge is power and knowledge is wealth. Stop having negative talk with yourself. Don’t be your worse enemy. Disempower talk does effect you. Have positive talk with yourself. Yes, you can. You are good enough! Financial freedom is how you manage your money. Money management adds to your freedom. You will in fact be financially free. Everybody can become financially free. If you manage your money properly you will become financially free. It’s not about how much money you earn. Is about how you manage your money. By using the money management system you are free to spend the money where you are allowed to spend. You can see where you are spending your money. Schedule automatically payments. Are you committed to spend the money where your goals and wishes are? Get a budget sheet. For 30 days write down everything you spend on. At the end of the month look at the sheet. Analyze your expenses. Analyze the reality. See what is going on. Make new choices. Commit to your new choices in the next month. Specify an amount you want to save in the next month. After the second month analyze the sheet of your second month. Did you follow your commitment? Did you make a progress? Keep track of your expenses. Key to change is awareness, understanding and redoing/reconditioning. We are creatures of habits. Release all habits that do not support you to where you want to go in life. If you keep making the same choices, the same thought patterns, you will keep getting the same results. Your income, how you feel and think about money are based on your money blueprint. If you do not change your money blueprint you will stay where you are. Thoughts lead to action and action leads to results. Managing your money is long term success focus. If you focus on paying off your debt only, than you are focusing on the short term and you will never be free. Focus on putting money in your financial freedom account. Do not stop putting money in your financial freedom account. What you focus on expands. If you focus on debt, you will create more debt. To put all your money in debt, to pay off your debt is not an investment, is not good. Every dime will go to the debt and not to your wishes and goals. Your life is about getting free. Not about getting out of debt first. Focus on your target, to get free. Do not focus on where you are. Diversify and put money in all accounts. It doesn’t work if you do not diversify. Otherwise you don’t have money for other things. Pay down some debt. Paying down your debt is not the only thing you should do with your money. Have at least one jar at home, the financial freedom jar. Your goal is to put all your changes in the financial freedom jar every day. The jar becomes your money magnet. You are progressing. You are sending a message that this is very important for you! It empowers you. Everything is about habits. Use your jar system. Live and do it! 80% is behaviour and 20% is knowledge. Change your behaviour to get the results you want. Get the knowledge to take the right action and to get the results you want. Do whatever it takes! Be committed to your financial success, earning more money, managing and investing your money properly, paying off your debt. Allow your money to work for you. If you are not doing well in your finances, there is a reason. Get a financial coach. You can learn to succeed in your finances. To grow your money is a learnable skill.